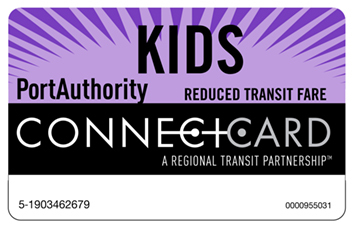 Port Authority now has a special ConnectCard just for kids! The card will expire on the child's 12th birthday. At that time, the expired Kid Card can be exchanged for a full fare ConnectCard with any remaining stored value transferred. For more information, call 412-442-2000.